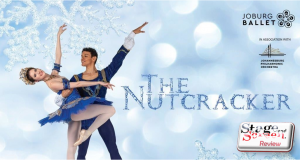 Rhythm, rhyme and rapturous laughter guaranteed during the holidays. With the school holidays now in full swing, one cannot wonder whether parents are dreading this break, or embracing it? 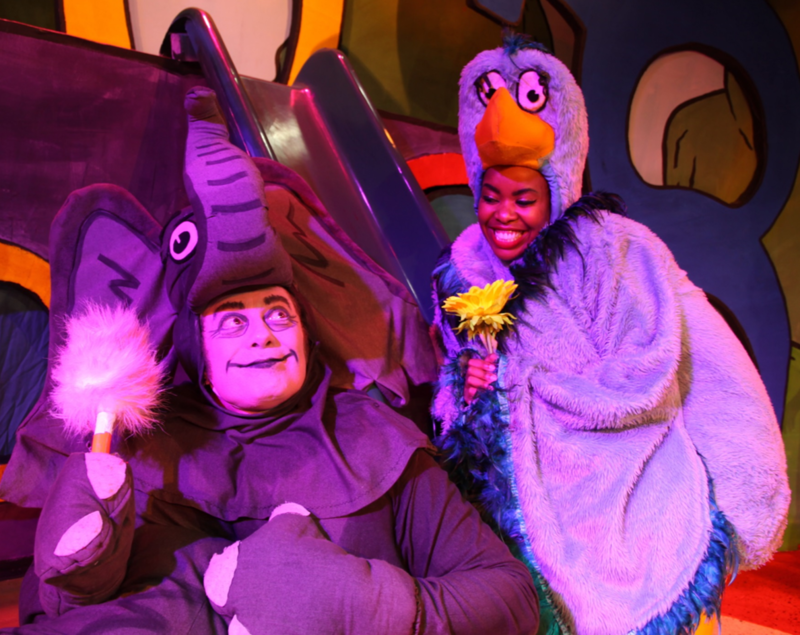 While Johannesburg offers a myriad of different entertainment options for both young and old, serving as a most welcome reprieve from boredom, one entertainment option seems to be overlooked by most families: The magnificent world of theatre. Enter directors Jill Girard and Keith Smith of the People’s Theatre, situated in the Joburg Theatre complex. 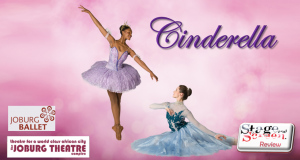 This specially created flagship of Children’s Theatre has celebrated over 25 years of providing world class quality, fun filled – and educational – theatre to countless families. Girard and Smith are delighted to get this year underway with a bang, bringing children and parents together for a thumping theatre experience, with the fabulous Broadway show, Seussical the Musical Jr.
Based on the books by Dr. Seuss, the children’s favourite author for over 60 years, his much loved use of language, rhyme and humour have been aptly re-imagined on stage by Smith, Girard and their extraordinary team, while retaining Dr. Seuss’ customary positive message. Still, as crafty as they may be and as comfortable as the People’s Theatre is, I couldn’t help but wonder how they would pull off grabbing the young ones attention, in an age where even 4 year olds have their faces buried in their own cellular telephones these days. 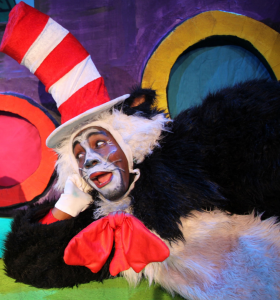 Fear not, Seussical the Musical Jr did not disappoint – cell phones were out of sight just as soon as the curtain lifted. 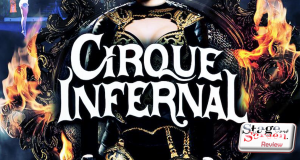 A nearly constant barrage of dance, music, lights and some clever set design, not only captured the imagination of the little ones, but that of the adults too. Visually, Grant Knottenbelt’s set design may seem minimalistic but then, it doesn’t have to be over-the-top. 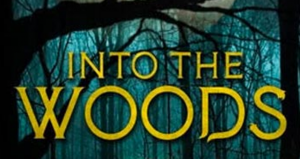 It’s colourful, with features such as steps behind one of the set pieces, a tunnel and door behind another, creating the illusion that the characters are seamlessly moving around all the time. I was delighted by the see-through display screen dropping from above, in front of the stage. Clever use of lasers and LED’s display various shapes and characters on this screen, enhancing the thread of the story in a modest, yet effective manner, while being a visual delight, all at once. 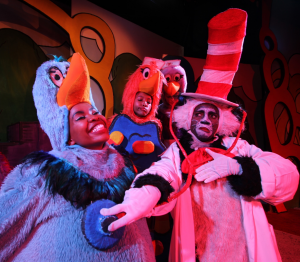 With characters ranging from a cat, to an elephant and even some birds joining in, the costumes and make-up further pulls the audience into the Dr. Seuss’ imaginary world of make-believe. 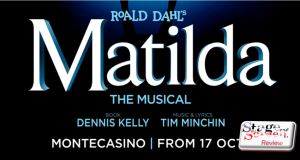 Sean McGrath, Merry Whiller and specialist Costume designer Trudie Stroh pulled this off in an excellent execution, bringing the characters to life on stage. It is said that the costume make the character but the actors playing these parts, were astounding. 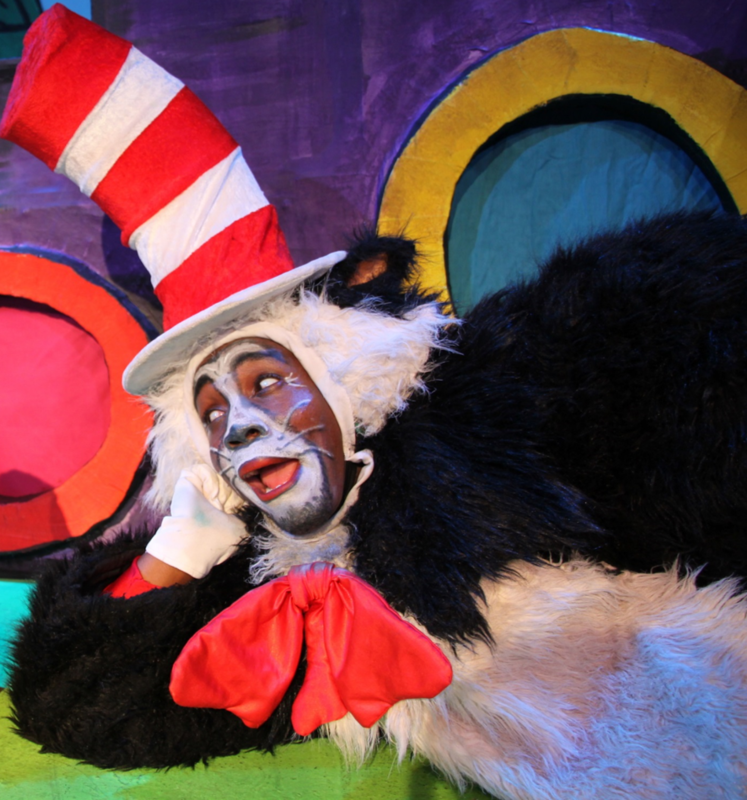 Newcomer Katlego Nche excelled with his charming, witty portrayal of The Cat in the Hat – a sort of jester-like character, sometimes serving as a narrator, other times within the storyline, mingling with the central child character of the show. Nche is joined by another newcomer, Megan Spencer, as the Sour Kangaroo. Seasoned stage actor Luciano Zuppa brought the endearing character of Horton to life. 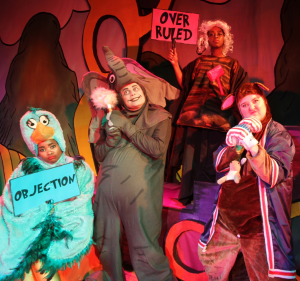 Central to the storyline of this morality-play, Zuppa’s elephant character is the hero with a message that is loveable, especially in the final moments of the show. 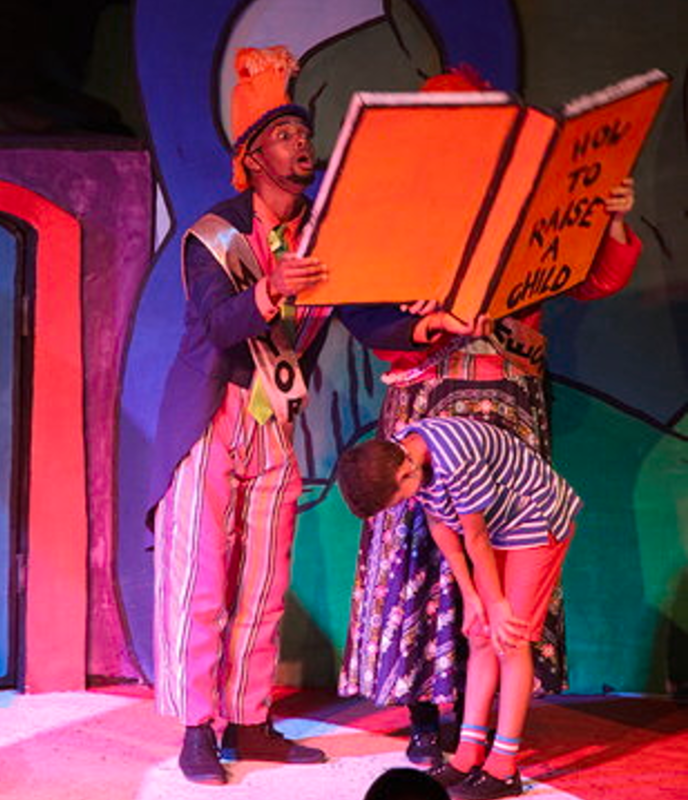 The child actors in this magical production amazed with their professionalism. Unwavering in their deliverance of the several different characters they portray, I am always astonished at the magnitude of their commitment. 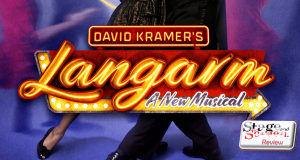 Exactly how they remember all the words in the script is something that boggles my mind. 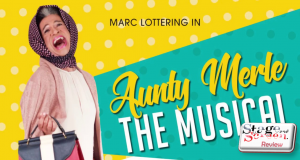 Masego Mothibakgomo plays the quirky Gertrude McFuzz, and another People’s Theatre favourite Nonhlanhla Mkhonto, plays the effervescent Mayzie. 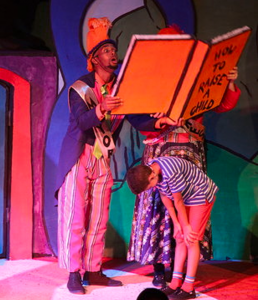 Thokozani Jiyane, who charmed in Annie Jr, returns to the Peoples Theatre as Mr. Mayor and is sure to delight the audience again. A sensational music score under the musical direction of Dale Scheepers, combined with the funniest characters by Dr. Suess, will surely bring rapturous laughter, rhyme and rhythm to Johannesburg during Easter. Seussical the Musical Jr is great family entertainment and will run from 10 March 2019, until 28 April 2019 at the Joburg Theatre’s People’s Theatre.